Happy Thanksgiving! As your turkeys roast and your pies bake and your potatoes mash, we’ve got one more item we hope you’ll add to the list of things for which you’re feeling thankful. 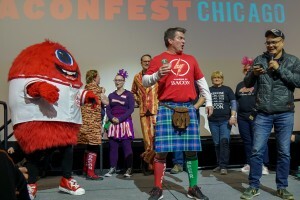 Baconfest Chicago 2019 (the eleventh annual Baconfest) will return to the UIC Dorin Forum (725 W Roosevelt) on Friday April 5 and Saturday April 6, 2019. Tickets will be available on CYBERMONDAY (November 26) at 9:00 AM from our website. As always, we’re offering VIP and General Admission tickets to each session. 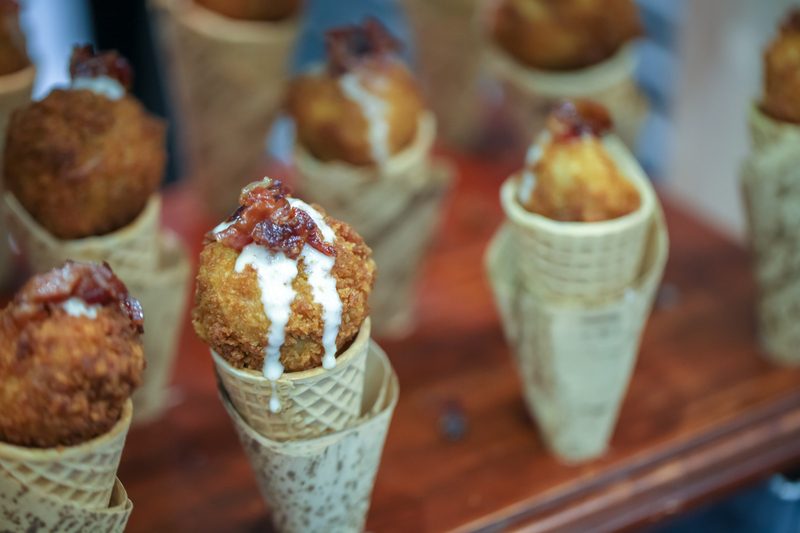 All ticketed guests get to try all the bacon dishes they can handle during the session selected; VIP ticket holders get to enter an hour early for unfettered access to the main event. NOTE: When Early Bird tickets are gone, General Admission pricing will rise to $85 + fees and VIP to $160 + fees. Bacon-Only Tickets: $60 + fees - all the bacon with none of the booze – perfect for designated drivers, teetotalers, or bacon-lovers under 21! Group Tickets: $70 + fees for purchases of 5 general admission tickets or more. The Early Bird offer is for Bacon die-hards only. We’ll announce the chef roster in February and the menu in March. If you want to wait and see which session your favorite chef will be at, we understand. But if you know that you’re going to be at Baconfest no matter what, save a few bucks and and get your porky tickets squared away now! 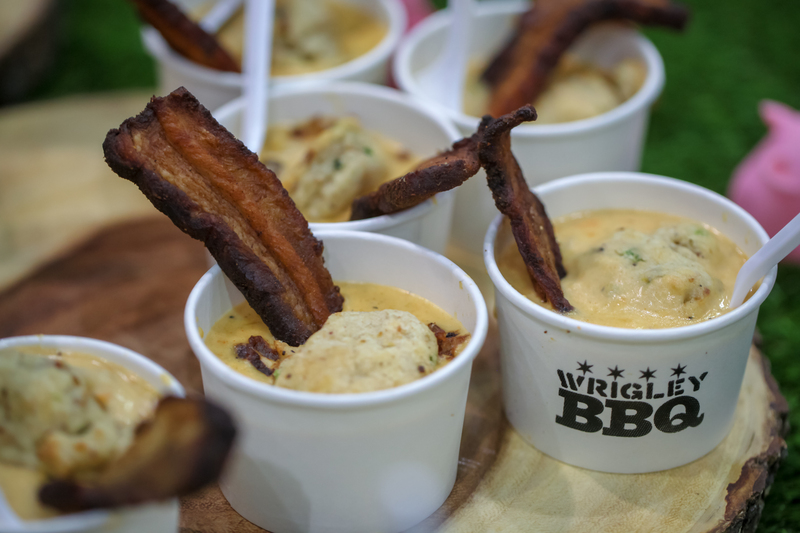 Baconfest Chicago 2019 will unfold over three separate tasting sessions, with a different line up of culinary talent at each. At each session, Chicago’s most inventive chefs will blow your mind with creative dishes that show bacon off in all its many-splendored facets. Local mixologists will craft spectacular beverages to pair with those dishes. Beer will flow by the gallon. Bacon makers and luxury brands will be on hand to sample their wares and connect with you, the bacon-community. 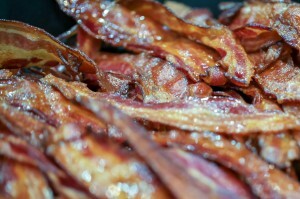 If you are a bacon fan in Chicagoland, by now you know us. You know the event ROCKS. You know we’ll do everything in our power to make sure you have a great experience with our amazing chefs, sponsors, and other exhibitors as we gather together to celebrate bacon. You know we support an incredible charity partner, the Greater Chicago Food Depository, for whom you’ve helped us raise over $440,000 since we began. We hope you know what a pleasure it would be for Baconfest to have you return to party with us once again. For anyone not familiar with our event, please join our mailing list and follow us on Facebook and Twitter and Instagram so that you can stay tuned for details about next year’s mega-bacon-spectacular. Check out our recap of last year’s festivities. 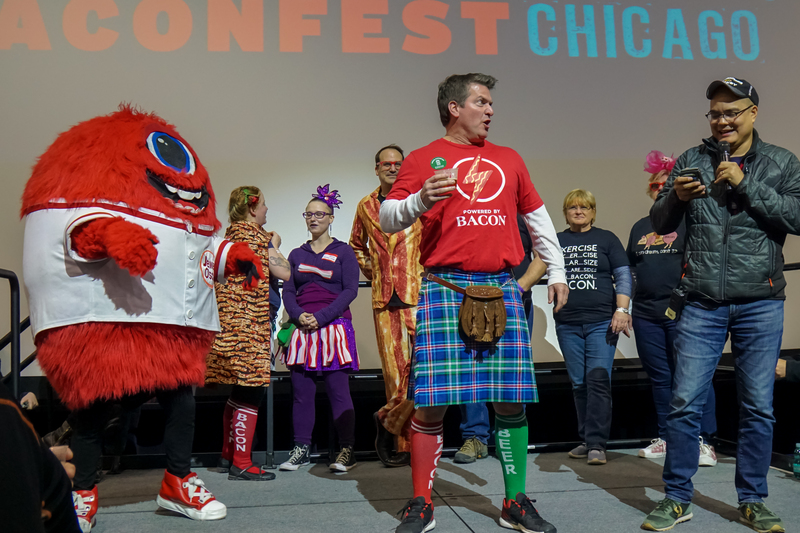 If you are a chef/restaurant/sponsor/exhibitor and you are a veteran of Baconfest Chicago, rest assured, we will reach out to you individually to invite you to return. 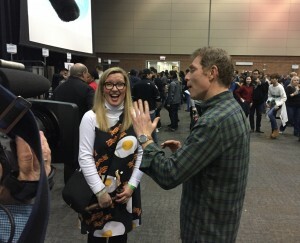 If you are new to Baconfest and would like to exhibit, e-mail [email protected] for more info. More details to follow, but save these dates!! SAVE THESE DATES: 4/5/2019 and 4/6/2019!